Complementing my interviews, today’s Author Spotlight, the four hundred and sixth, is of children’s and adult fantasy novelist Katharine Hamilton. If you would like to take part in an author spotlight, take a look at author-spotlights. Katharine E. Hamilton was born and raised in the state of Texas, where she currently resides on a ranch in the heart of brush country with her husband, Brad, and their two furry friends, Tulip and Cash. She is a graduate of Texas A&M University, where she received a Bachelor’s degree in History, and she finds most of her stories share the love of the past combined with a twist of imagination. 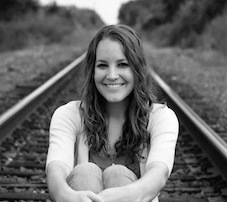 Katharine’s journey as an author started in 2008 with a simple gift to her niece, Taylor. Creating Taylor a story all her own for a Christmas present, and seeing her reaction to a unique story made Katharine start thinking about diving into the writing world. How simple a spark that would then lead to her first published work, The Adventurous Life of Laura Bell. 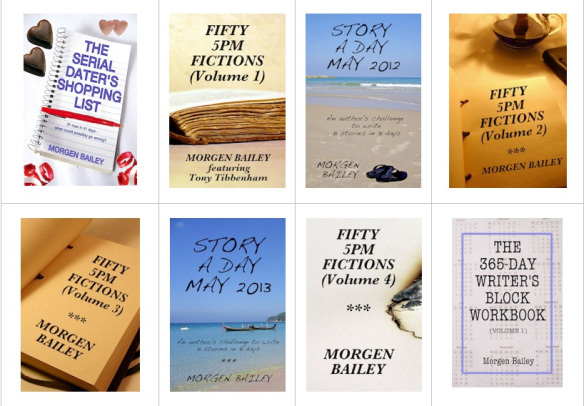 Each story has a story all its own, based on people she loves and special memories she shares with them. Laura Bell hit the shelves in 2009 and Katharine quickly began work on her next book, Susie At Your Service. While working on this one though, she had several minor setbacks. Computers failing, an apartment flood that soaked her illustrations, you name it, it happened. So what she thought would take a few months ended up taking her a year and a half to rewrite and redraw the illustrations and another year to push the publication forward. While working on Susie, Katharine had an idea for another book, Sissy and Kat. Let’s just say the year of 2012 was a busy year. Two books, changing jobs, moving to three different cities, and planning a wedding… really add up! 🙂 But perseverance paid off, and Susie hit the shelves, officially, in January of 2013 followed by Sissy and Kat in March 2013. In August 2014, Katharine decided to make the transition into Adult Fiction, where she quite fittingly, landed within the Fantasy Fiction genre. Her new novel, The Unfading Lands, hit the shelves April 3, 2015. 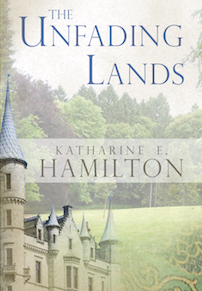 The Unfading Lands is the first book in a series of three, and looks to be the crowning work in Katharine’s career so far. I love creating. I love using that creativity to develop an imaginative story that can take a reader to a new place and circumstance. With The Unfading Lands, I wanted to develop a story that captivates the reader and takes them on the journey alongside the characters. I want the reader to feel the struggles, the pain, the love, the adventure… I want them to dive in so deep they feel completely immersed and part of the story. In The Unfading Lands there is this ever-present threat from The Land of Unfading Beauty. It has a ruthless leader, a hidden darkness, but the land itself is beautiful and entices people to cross the boundaries of their own kingdoms and live there. Unfortunately, once they cross, they cannot return. It’s a dangerous choice. A choice that some of the characters make. Meanwhile, there are four kingdoms comprising the Realm of King Granton that are losing their land to the ever-growing Unfading Lands. The more people that cross, the more powerful it becomes, and King Granton has to call upon the leaders of the other kingdoms to help contain and/or destroy the Land of Unfading Beauty. While battles emerge, however, the individual characters all battle with their own struggles and temptations that the darkness presents, inward and outer. It’s a complex twist. The reader is digging into the story to find out what happens to the kingdoms, but they will also watch as the characters develop and grow. My hope is that, not only will the reader watch the characters question right and wrong, good and evil, and light and dark, but that so will they. I want them asking themselves: What would I do? Where would my allegiance lie? I am thankful to the readers out there who have followed me from my children’s books days to now. Most have or are giving The Unfading Lands a read, and I honestly cannot wait to hear what all they think about it! I also want to thank my readers for allowing me the privilege to turn my dreams into a new adventure for us all. If you would like to take part in an author spotlight, take a look at opportunities-on-this-blog (the spotlights are option (a)) or email me for details. You can sign up to receive these blog posts daily or weekly so you don’t miss anything (see this blog’s right-hand side bar).